The Simpson lab develops algorithms and software for the analysis of high-throughput sequencing data. 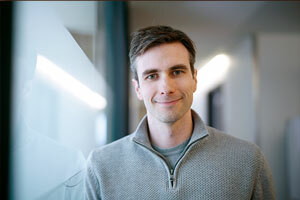 The lab, led by Dr. Jared Simpson, works primarily on de novo genome assembly, the detection of somatic mutations in cancer and, most recently, the development of algorithms for nanopore-based sequencers. Assistant Professor, Department of Computer Science, University of Toronto. Jain M, Koren S, Miga KH, Quick J, Rand AC, Sasani TA, Tyson JR, Beggs AD, Dilthey AT, Fiddes IT, Malla S, Marriott H, Nieto T, O’Grady J, Olsen HE, Pedersen BS, Rhie A, Rickardson H, Quinlan AR, Snutch TP, Tee L, Paten B, Phillippy AM, Simpson JT, Loman NJ, Loose M.
Nanopore sequencing and assembly of a human genome with ultra-long reads. Simpson JT, Workman RE, Zuzarte PC, David M, Dursi LJ, Timp W.
Detecting DNA cytosine methylation using nanopore sequencing. Quick J, Loman NJ, Duraffour S, Simpson JT, Serevi E, Cowley L, Bore JA, Koundouno R, Dudas G, Mikhail A, Ouedraogo N, Afrough B, Bah A, Baum JH, Becker-Ziaja B, Boettcher JP, Cabeza-Cabrerizo M, Camino-Sanchez A, Carter LL, Doerrbecker J, Enkirch T, Dorival IGG, Hetzelt N, Hinzmann J, Holm T, Kafetzopoulou LE, Koropogui M, Kosgey A, Kuisma E, Logue CH, Mazzarelli A, Meisel S, Mertens M, Michel J, Ngabo D, Nitzsche K, Pallash E, Patrono LV, Portmann J, Repits JG, Rickett NY, Sachse A, Singethan K, Vitoriano I, Yemanaberhan RL, Zekeng EG, Trina R, Bello A, Sall AA, Faye O, Faye O, Magassouba N, Williams CV, Amburgey V, Winona L, Davis E, Gerlach J, Washington F, Monteil V, Jourdain M, Bererd M, Camara A, Somlare H, Camara A, Gerard M, Bado G, Baillet B, Delaune D, Nebie KY, Diarra A, Savane Y, Pallawo RB, Gutierrez GJ, Milhano N, Roger I, Williams CJ, Yattara F, Lewandowski K, Taylor J, Rachwal P, Turner D, Pollakis G, Hiscox JA, Matthews DA, O’Shea MK, Johnston AM, Wilson D, Hutley E, Smit E, Di Caro A, Woelfel R, Stoecker K, Fleischmann E, Gabriel M, Weller SA, Koivogui L, Diallo B, Keita S, Rambaut A, Formenty P, Gunther S, Carroll MW. Loman NJ, Quick J, Simpson JT. Exploring genome characteristics and sequence quality without a reference. See Dr. Simpson’s recent publications on PubMed or on Google Scholar. Bachelor of Science, Computer Science, University of British Columbia. If you’re interested in collaborating with Dr. Simpson, please contact him directly.